A couple of days ago Jay Baruchel who wrote Goon and took a part in the film (least likable person in the film for me) posted on twitter the planning of Goon 2. 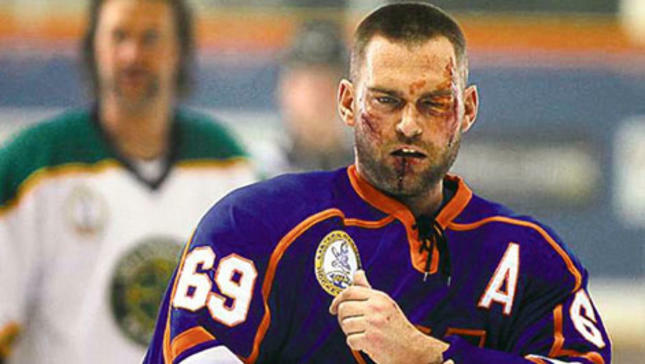 Goon 2 will star the main leads from Goon, Seann William Scott, Jay Baruchel, and Alison Pill. Not alot of info on this yet as all the info about it is in one twitter post. Though I do feel the need to clarify something from the last article I posted, GOON 2 will be written by @jessechabot and myself… Evan Goldberg will be involved as a producer and we will all be working our asses off to make as awesome a flick as possible… Please know this: GOON is pretty close to sacred for all of us involved and we would only be entertaining the idea of continuing the saga if we were all equally convinced that Doug, Laflamme, Stevesy, the Russians, Rolie, Ogilvy Belchy and Eva were only getting started… We will give them and you guys the epic, violent, heartfelt awesomeness that is not just deserved but required. HIGH. LAND. ERS. I feel mixed feelings of this and have a feeling it isn’t gonna be as good as the first as with most movies. What do you think of this and have you seen the Goon?